I basically can’t use my Nox 600 without my pinpointer. Otherwise I am fepeatedly fooled by large targets falsing or - in the case of large alu - registering as high conductior like silver. The pinpointer is much quicker and more accurate than the nox’s PP function to size targets. But it gives same signal on coin targets as crushed can sized target. 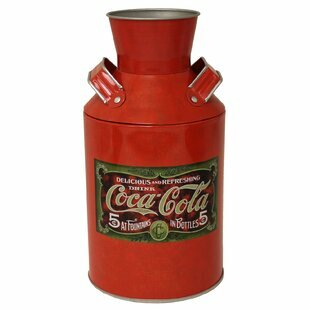 Coins will fit new Coke machines that sells gianormous 2 liter cans. I will grudgingly say that it is probably the most versatile mid-range detector out there. If you're going to have ONE detector it's probably the one. If you only hunt one type of site, there may be a better different one for you. Have you tried all the other mid range detectors on the market?I don't believe anybody can say one machine is the best.......even "probably" is too strong a word......if they have'nt thoroughly tested every one. I've been lucky enough to have owned most of the popular machines over the years including minelabs,xp's,whites,tesoros,red heat,c scopes etc and to be honest i've had quite good results with most of them. I think detectors are at a stage where overall performance is basically the same on each category of detector.....no one machine really stands out. Read again, I didn't say it was the best, I said most versatile. Ok then.....even the most versatile.As for being a hater,whats all that about.......ive owned many minelabs and ive thought they were great machines.......i still own an explorer se.I don't hate any machine or manufacturer,as i said above ive tried most and ive had great results with most. What im saying is that a machine like the nox comes out and everybody jumps on the bandwagon saying how great it is.......its happened with many machines over the years........then all of a sudden they start appearing in the used sales section because they are no better than anything else on the market. Im glad you like your nox and im sure it will do really well for you. Ps,what i hate is people with shallow minds who put ridiculous comments on forums......sound familiar! I agree with you Neil, i only bought a Nox for beach and salt water, other than that i use other detectors that i like better. Not a lot of excitement in Canada from what I’m hearing. 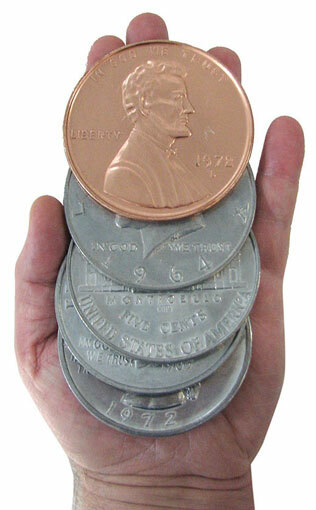 The poor quality of our coins means you better dig it all since coins and junk sound the same. Guess it’s pretty good at finding pennies though. For Canadian coins you might be better off with a Tesoro Mojave. I still keep my T2 just incase something should happen. The Hype is dieing down even though some won't admit it. All that being said, if they make a 1000 with etrac ability to hit silver like the 800 hits mid conductors .. that will be a mean machine. I have the Nox 800 and agree that it's a pretty darn good all around detector, but I also have the Makro Multi Kruzer and I think it's a better all around detector than the Nox. The Nox may, I said MAY work a little better for deep silver and be a better saltwater wet sand detector, but for cherry pickin' parks, hunting ghost towns, old lots, competition hunts, and fresh water hunting, I think the Multi Kruzer has it beat. 43 years detecting, ex White's dealer. The excitement and hype will continue as long as the dozen or so fan boys continue to work the forums and pimp the machine and certainly it's biggest attraction is it's versatility for the price. I found the only disappointing thing to be the poor build quality of the shaft and cuff system. Many of the reports from beach and surf hunters are leading to aftermarket rods and accessories to compensate for the deficiencies. When you factor in that additional $150 to $200 it rapidly shades the value aspect that so many of the street barkers are touting. While I have had a Nox and not the M Kruzer , my understanding is that the M Kruzer's build quality is far superior.